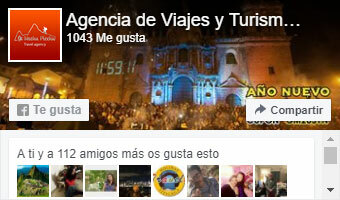 The legendary Inka Trail or Qapaq Ñam crossed South America from Quito in Ecuador all the way to La Paz in Bolivia, traversing the Andes mountain range. We leave the city of Cusco behind us and begin our trip into the Sacred Valley of the Inkas, following the river downstream to the town of Ollantaytambo, where we will stop to stock up on some last minute supplies, before continuing on to Km 82 of the railroad to Machu Picchu. In this area, also known as Piscacucho, we will register with the SHMP authorities, as we will be entering the famous Qapaq Ñam or Great Inca Trail. We begin our trek following the Wilka Mayu or Rio Sagrado (Sacred River) downstream to get inside the mountains, where we will find archaeological remains, such as Llaqtapata for example, left by the Inkas on their path to the sacred city of Machu Picchu. We will walk through different ecological levels allowing us to observe a variety of local flora and fauna, which were used by the Inkas in different ways. We will stop to enjoy our lunch on the way. Continuing our trek to Huallabamba we arrive at our campsite, where we will have dinner and spend the night. We leave our campsite, ready to face our first high altitude challenge – the Warmi Wañuska pass. On our way we will appreciate the different ecological levels which dominated the Inka world and led them to build this marvellous path. From the pass we will be able to see the magnificent geography of the Southern Andes, and we will stop a moment to rest and appreciate the view. Then following a beautiful path we will make our way down to our campsite at Pacamayo, where we will eat and spend the night. Early in the morning we will leave our campsite to complete our second high altitude challenge, the Runkurakay pass; but first we will pass through an archaeological site of the same name, which will surprise us with its beauty and simplicity. The path up to the high pass will take us through a beautiful high-Andean landscape, where the main ecological level is “Quechua”. Small lakes surround our path in this part of the trail. After the pass, we will descend to a lower ecological level, observing the challenging environment which the Andean people had to overcome to develop their civilization. 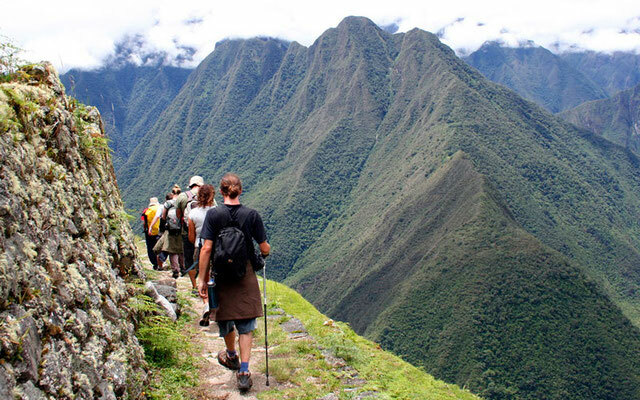 When we arrive at Phuyupatamarka we can visit the lookout, where we will be met by a powerful landscape, surrounded by sacred mountains including the back of the Machu Picchu mountain. We will also visit the small but complex archaeological site of Phuya, campsite we will enjoy a well-deserved rest. Dinner and overnight. Approximate Walking Time: 8.40 hours. After the brefast.We are going to follow the Stone path to Wiñay Wayna. 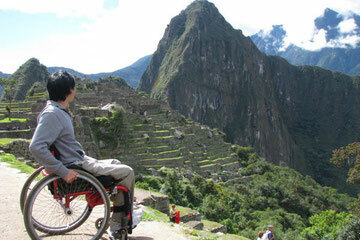 We will enjoy a well-deserved We will explore this archaeological site where Andean people developed their highest level of intellect and wisdom, building here their greatest work. Temples, water fountains, astrological observatories, places of worship, places to study; all provide evidence of what this marvellous place used to be, filling it with a special magic and spirit. 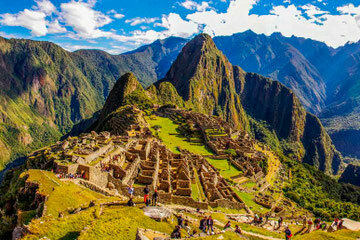 Without a doubt, Machu Picchu was the heart of Andean civilisation under Inca rule. 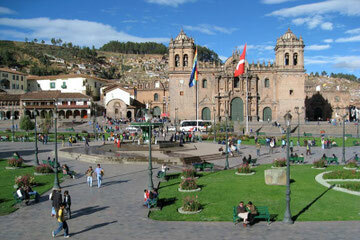 After this fantastic adventure we will return to the city of Cusco, Capital of the Inka kingdom. We will take the train from Aguas Calientes to Ollanta Station, where our transport will be waiting to take us back to Cusco. Additional guidance for groups over 9 people. Assistant cook for groups over 9 people. Food along the way: 3x breakfast, 3x lunch, 3x dinner. Vegetarian option is free, only inform us in advance, please. Kitchen equipment: kitchen tent, dining tent, kitchen utensils.